Help your trees withstand stormy weather. 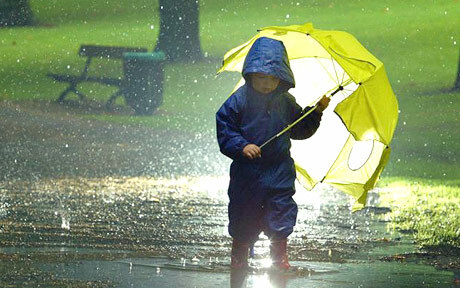 Heavy rain, freezing temps, high winds or a combination of any of these can stress your trees. Preventing the worst from happening can be as simple as being prepared. However, there are four key preventative measures that can reduce damage to your trees and property and maximize your safety when storms hit. Prepare your garden and prune trees now. Falling leaves from deciduous trees provide enhanced visibility to evaluate structural problems. Without foliage to obstruct the view, it’s easier to optimize aesthetic and structural pruning decisions. Preventative pruning will protect trees from the toll heavy ice and snow can take on live oaks, magnolias and other evergreens when the weight of the snow on branches can break limbs from the trunk. Add mulch around the base of your trees to buffer soil temperatures and allow water and nutrients to drain down through the soil into the root system. Bare soil around your trees can easily wash away during heavy storms, leaving your trees stripped of important nutrients and a necessary layer of protection that can protect root systems during cold weather. Mulching will also reduce storm water runoff, help the soil and root systems absorb the water better, and reduce unhealthy impacts on groundwater resources. Fast growing ground covers with fibrous root systems or the use of hemp nets can control erosion, reinforce slope areas with unstable soil and keep landscaped areas in place during heavy rains. Aerating turf and adding soil amendments will bring oxygen to root systems, enable porosity, and help avoid waterlogged soil, that saturated by heavy rain can cause trees to fall over. When landscaped sites do not have ideal drainage, we recommend reshaping the terrain to create contours, furrows, bioswales, or interim levees to help redirect water into new drainage patterns. Pruning large trees and shrubs carries risk and often requires specialized equipment and skills. Professional certified arborists have all of the required safety equipment and liability insurance in place. Seek trained arborists and diagnosticians through the International Society of Arboriculture (ISA), the Tree Care Industry Association (TCIA), or the American Society of Consulting Arborists (ASCA). Our go-to gourds for fall décor. Whether you favor an expressive jack o’ lantern or a sumptuous pumpkin, gourds squash the competition when it comes to celebrating the holidays. Ornamental gourds are taking over pumpkin patches and front doors as new varieties from growers are giving garden display artists and homeowners an increasingly vast array of these unique fruits to choose from. Everyone wants something different and each year holiday staging has become much more fun as squash, gourds and pumpkins over-deliver on their ability to multi-task. Horticulturists and décor stylists are embracing decorative foliage for their ability to dress up the last three months of the year and usually recommend that any holiday staging palette start at the point of entry, be it a gate, walkway or porch. 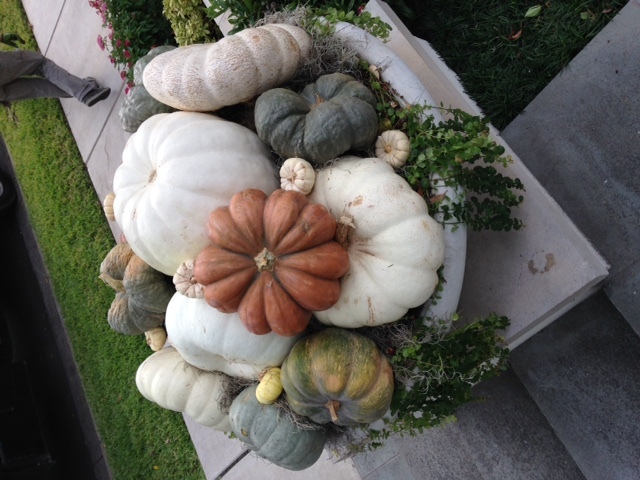 With many varieties of gourds bred to be more disease resistant and long lasting, they can be strategically transitioned and integrated into cool winter displays with the addition of rustic twigs and other essential elements. This year, embrace the drama of a saturated color mix starting with on-trend oranges, greys and deep saffron; as Thanksgiving approaches, add contrasting deep tones in pomegranate and cranberry. By the time Christmas and winter comes around, play off grey with texture, foliage, nuts, moss, and rich evergreens. Use simple, streamlined pieces for a refined finishing touch. The plant kingdoms dazzling kaleidoscope of options allow for innovative approaches and are easily among the best and most colorful props to enhance any holiday experience. Contact holiday plant stylist and staging designer Michelle Earle, Lambert Landscape Company, Dallas. 214-350-8350. Bulbs are your garden’s buried treasures. Did you ever dissect a bulb in middle school science? They are not only powerful little teaching tools but among the plant kingdom’s most well designed structural packages. Generally low maintenance, the only thing a bulb needs is to be placed in the ground at the right time, be appropriately hydrated, and left alone to emerge as one of nature’s eternal signals that life, does indeed, go on. October is a good time to research the endless selection of bulb options, source the right bulbs for Dallas-area hardiness zones, and check your choices with an experienced professional or master gardener. Many bulbs are available locally at garden centers; most can be sourced online through specialty nurseries if ordered now. Most mail-order nurseries will cease shipping by end of October or will have sold out of their inventory. Daffodils can be planted as soon as it begins to cool around November and are great bulbs for Dallas gardens. They bloom in late winter to early spring no matter what month they are planted. They do best in a well-drained, sunny place with slope areas and raised beds the best. Improve clay soils with good quality organic matter and keep them moist until the rains come. Paperwhites are among the easiest bulbs to grow. Technically a member of the narcissus family, paperwhites can be staged to bloom several times by planting in six-week increments throughout the fall in well-drained soil and sun. They do exceptionally well in containers and urns and will flower more than one season if planted in good quality potting medium and nourished with a water-soluble organic fertilizer. Tulip color schemes intensify when planted in mass beds. We recommend experimenting with tone and structure, relying on random layouts and mixed color arrangements. When selecting tulip bulbs, look for proven performers and varieties with longevity, and partner tulips with annual plantings to create a distinctive pairing. Ornamental alliums, a cousin to onions, shallots and garlic, are easy to grow and come in a broad palette of colors, heights, bloom times, and shape. 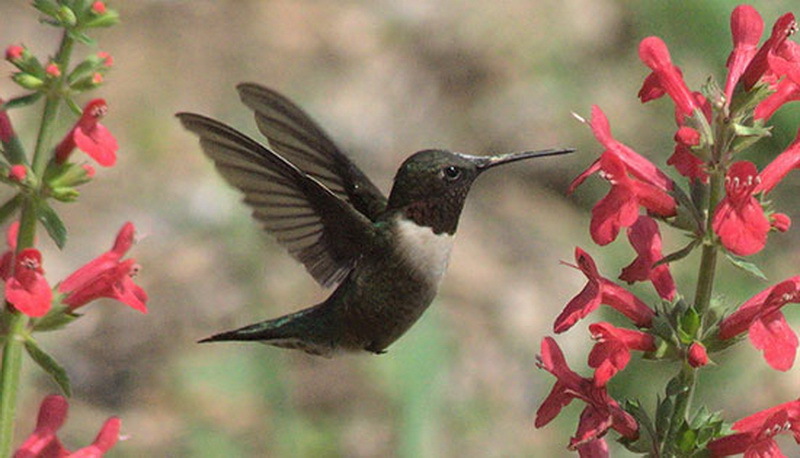 Their distinctive “popsicle-on-a-stick” allows them to fit well in dense planted areas because they don’t take up much space. Even better, they’re relatively resistant to deer and rabbits and grow in almost any soil. Anemones are sun lovers and bloom from April to May. They do well planted in bunches, in crevices, and near protective canopies of perennials to shade them from summer sun, and keep their roots cool. Anemones and ranunculus are best planted in December and January. If they are put in too early, they won’t bloom. Irises’ showy perennial flowers come in a rainbow of colors, appropriate to their being named after the Greek goddess who rode rainbows. There are over 300 species; the most familiar and most popular are the tall, bearded irises. 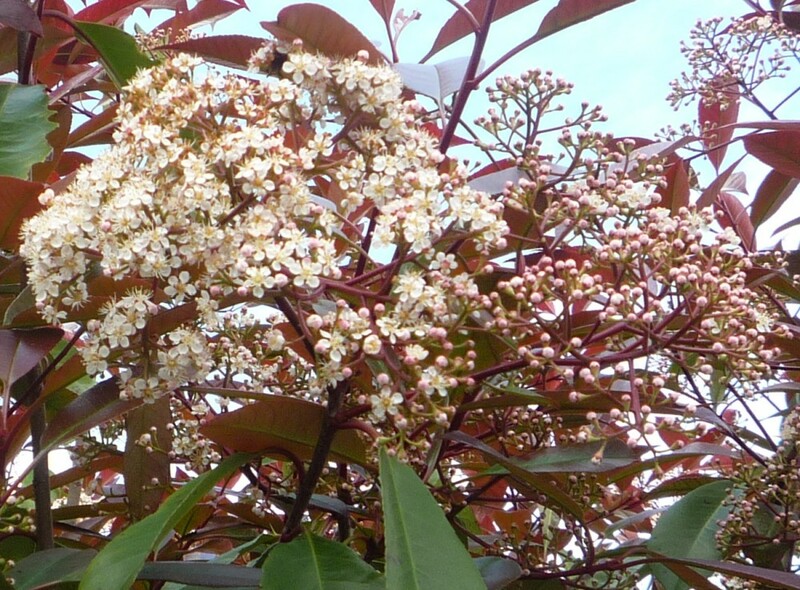 Most flower in early summer and some species flower again later in the summer. Crocuses are reliable bloomers, which excel in well-draining soil mixed with fine sand. From the winter blooming snow crocus to the giant Dutch crocus, these flowers not only bring color to a dormant winter landscape, but tend to spread and come back year after year with minimum care. Spanish bluebells are pretty, inexpensive, good for cutting and generally the most easygoing flower in your garden. They are unfussy about light and soil and seem to thrive with little care. They spread by producing offsets, which fill in and create large patches of color over time. Cleaning out the corporate attic is a task that is both Sherlock Holmes and Indiana Jones, a combination of seeking truth and discovering treasure. With two big milestones upon us—relocating our corporate office and our soon-to-be centennial—our archives offer up historical sidebars that are part and parcel of this enterprise we call Lambert Landscape Company. Our founder, Joe Lambert, was brilliant, entrepreneurial, quirky, and, above all, impassioned about the environment. He was the kind of guy who draped trees with black mourning ribbon because the city proposed to chop them down. He was also an imaginative thinker and doer who, in his search for a garden-friendly color to offset the glare of white houses on hot sunny days, created, and patented, a unique green-grey paint called Lamberts Green® because it blended in with natural plantings. Next time you see camouflage attire, thank Joe. It was the green used by the U.S. government during WWII. From Neiman Marcus to Target, Restoration Hardware to Home Depot, the nuanced hue of this unique green is still being formulated and remains popular today. 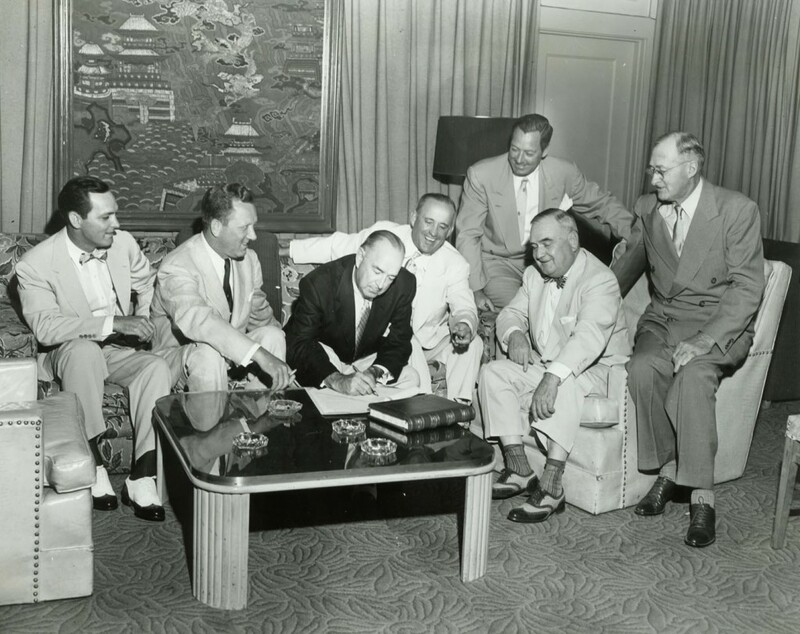 Our company was born in Shreveport but came of age in Dallas. 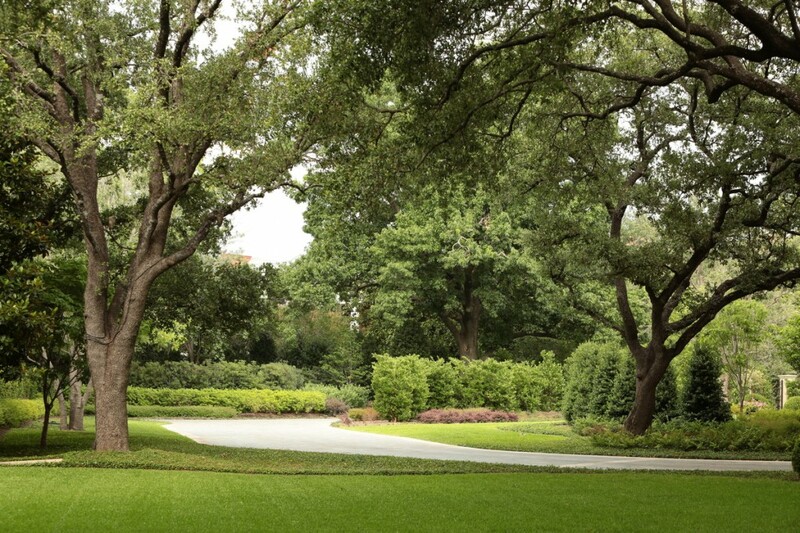 Through multiple generations of landscape architects, master gardeners, builders, artisans, horticulturists, and arborists to our current crop of tech-savvy, data-managed landscape professionals, we are a cross section of the best of Texas. Our spirit is as large as our heart, and our commitment to meet our clients’ needs is as old school and as friendly as you’d expect from a firm grounded in the tradition of Dallas hospitality. This is only one of our stories. As we dig through the archives, we suspect there will be more. We look forward to sharing them with you from time to time, not only as part of our heritage but more importantly, as part of the legacy of the ever-changing landscape that is the City of Dallas. The place we have called “home” for nearly 100 years. If the garden is the body, the soil is its gut. And like good gut bacteria’s positive influence on the state of human health, a healthy balance of micronutrients, minerals, and organic matter are required for the garden’s interconnected system to reach its peak. Chemical fertilizer takes its toll on soil, causing an imbalance and disturbing loss of micronutrients, minerals, and organic matter necessary for the soil to provide the foundation for plant fertility. Feeding the soil organic matter via solutions like compost tea or custom blend mulch, instead of ammonia and other synthetic fertilizers, has proven to increase nutritional uptake in plants and trees. More than a generation ago Lambert’s pulled traditional synthetic fertilizers and noxious pesticides off its shelves and shifted to an organic approach in caring for our gardens. For more than three decades, we’ve continued to refine this model and frankly, we’ve never looked back. To us, it’s not just the data and the science that supports our position but also the way we feel about promoting a less toxic way to benefit from being outdoors. 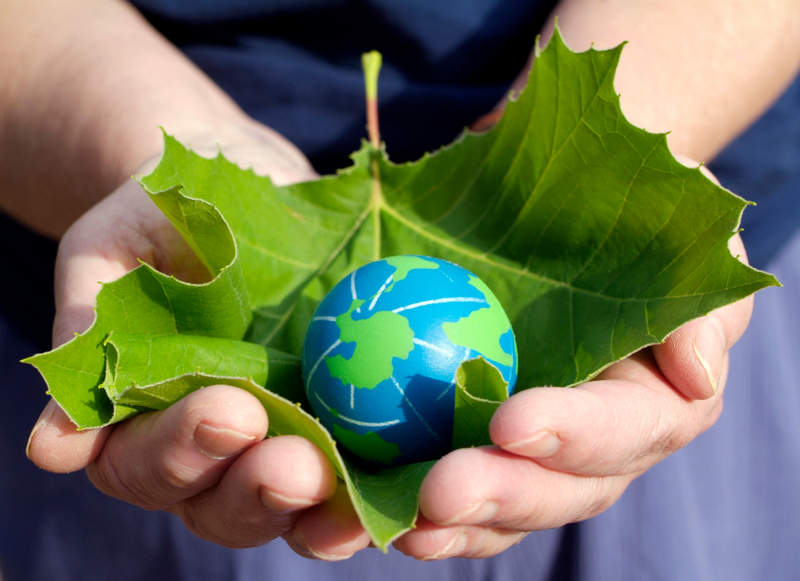 By reducing the toxic load and keeping chemical residue out of the air, water, soil, and human bodies, we believe we are simply promoting a better environment for all living things. Our choice for organics puts us on the side of optimism. It may not offer the fastest way to better garden health due to its slow-release complexity, but we guarantee that it is the most optimal choice for a higher functioning garden overall. 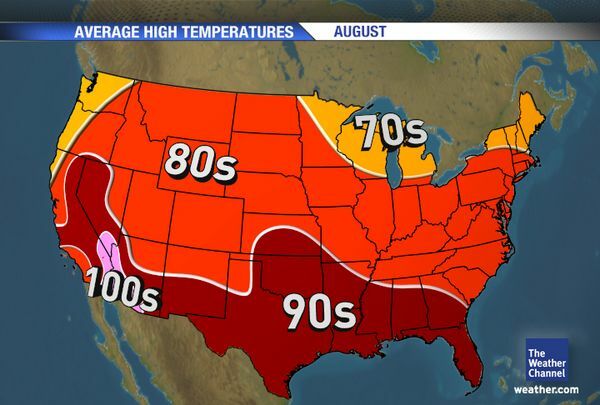 The stress of a scorching hot summer followed by rapid decline in temps can take its toll on your garden. While many plants thrive during normal summer temperatures, the effects of the prolonged heat and intermittent rainfall, coupled with warm nights, can lead to compromised garden health, vigor and appearance. In some cases, even the hardiest plants can be permanently weakened, if not completely lost. • Mulching to retain precious soil moisture, to protect root systems, and improve bed appearance. • Applying compost tea and other organic solutions to replenish nutrients that can be leached from the soil with frequent irrigation. • Performing weekly irrigation system checks to identify and quickly resolve coverage issues. • Installing soaker hoses and supplemental water systems to assist new and/or struggling plantings. • Hand-watering service on the days that overhead irrigation is restricted by city ordinance. • Keeping weeds to a minimum to reduce competition for nutrients and water. Plants pushed to the edge of their capabilities may not survive unusual weather patterns or extreme conditions and may need to be re-assessed during September’s return to milder conditions. 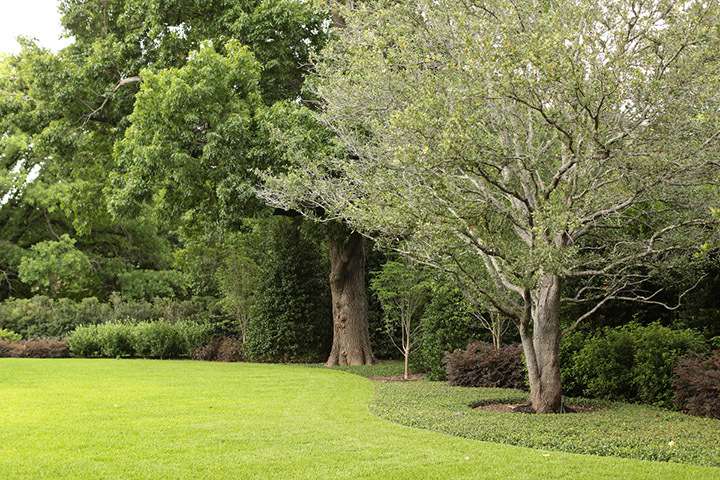 ?For questions or concerns regarding signs of heat stress in your garden, contact Melissa Livingston at 214-350-8350. At Lambert’s, our commitment is to ensure that our products and services are consistently at the highest level of quality and professional standards. To further reinforce this pledge, Lambert’s warrants that its work will be done in a good and workmanlike manner and further warrants against any substantial defect of workmanship performed for a varying period of time depending upon the nature of the work performed. As it pertains to the living and breathing part of our work, plantings are guaranteed to be of high quality, healthy, vigorous and acclimated to the growing conditions of our North Texas region. 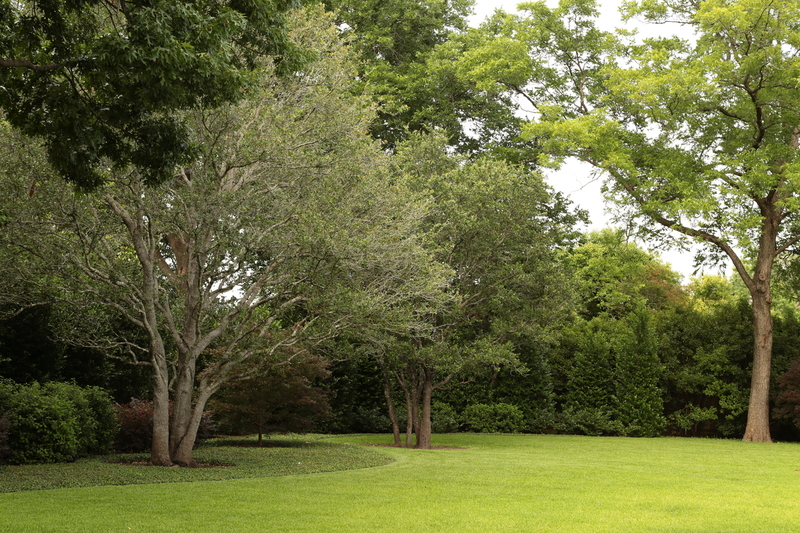 Permanent plantings are therefore warrantied against failure for a period between one year (groundcover, vines and shrubs) and two years (large trees). However, there are some conditions that despite our best practices and efforts, simply can’t be prevented. In our business, these are referred to as “acts of God”. An act of God event is when an unpreventable force of nature causes a harmful event – such as a violent storm, extreme temperature fluctuations, floods, fire, lightning, earthquake or other natural disaster, that results in damage to our garden plantings, hardscapes, and supporting infrastructure. Events such as sustained periods of record-breaking heat, significant cold temperatures, too much or too little rainfall can all cause plants to suffer, experience permanent damage, or even perish. As gardeners by heart and as trained professionals, rest assured that we will do everything possible to work with nature to prevent avoidable damage to the gardens. Accordingly, we routinely check all properties during periods of at-risk conditions and will advise our clients if we notice irregularities such as wilting, leaf drop, discoloration, and insect or fungal infestation and will determine possible causes of plant stress and recommend a course of action. When plants unnecessarily suffer, no one wins. Whereas we can’t assume responsibility for act of God events or other occurrences such as neglect, vandalism, or animal damage, Lambert’s stands ready to provide design, installation, construction and maintenance solutions to return your garden to our mutually desired expectations. 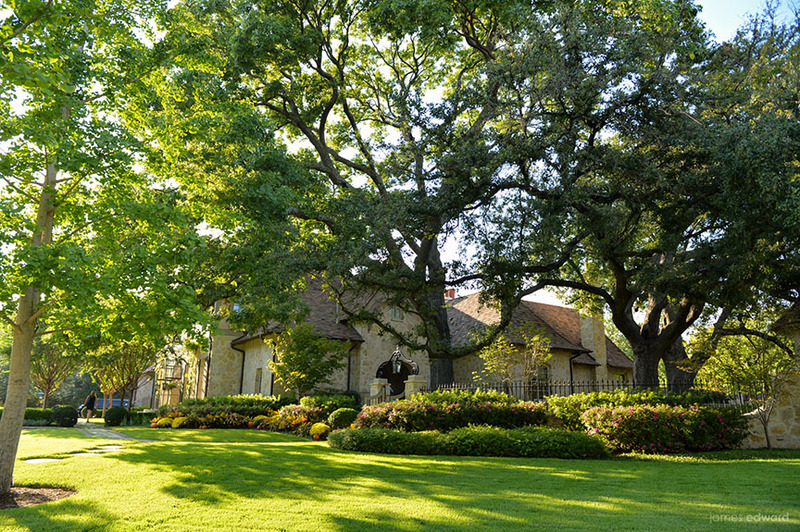 If you have any questions regarding specific product and service warranties or desire further assistance regarding the impact of severe weather on your garden and plantings, contact Melissa at 214-350-8350. From a border of purple pansies to overflowing containers of vivid chrysanthemums, nothing says fall like the brilliant hues of autumn. Labor Day generally signals the start of the fall season and late summer is a great time to consider installing the season’s most beloved plants. The end of summer can often be a tough time for your landscape. But it can also be an opportunity to start your garden over again and invest in professionally designed and staged landscape displays to showcase focal points and wow your family and guests during the upcoming year-end holidays. 1. Plant groundcovers and bright blooming fall-flowering perennials such as asters, marigolds, salvia, rain lilies and chrysanthemums. 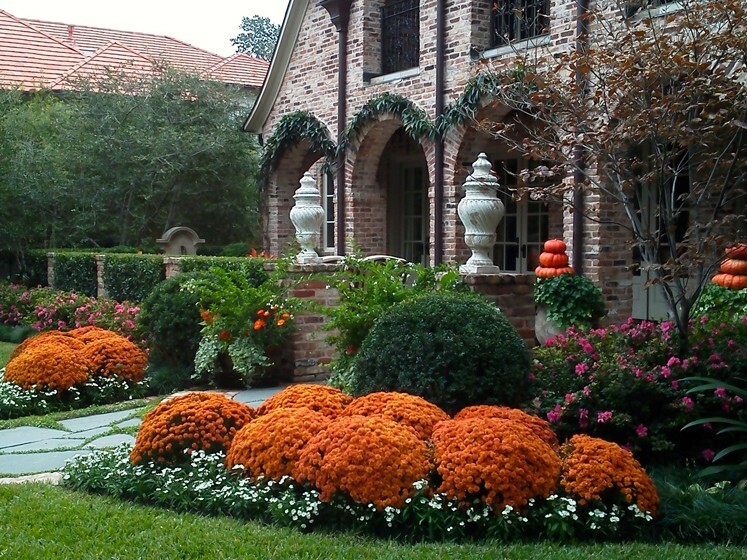 Mums in particular thrive in North Texas and perform well in full sun. They flourish in containers, borders and rock gardens. 2. Pansies are one of our most popular flowers and their whimsical “faces” make them a perfect addition to your fall garden. 3. If organically grown vegetables are on your list, turn to cool-weather crops for your favorite fall meals and plant beans, cabbage, eggplant, onions, potatoes, squash, garlic, carrots, and parsley. Keep them adequately watered and shaded from hot mid-day sun. 4. Plant figs. The easy-to-grow Brown Turkey variety adapts well to containers and the fruit will be ripe for picking and eating next summer. 5. Lightly prune woody trees and shrubs but save major pruning for when they are dormant. 6. 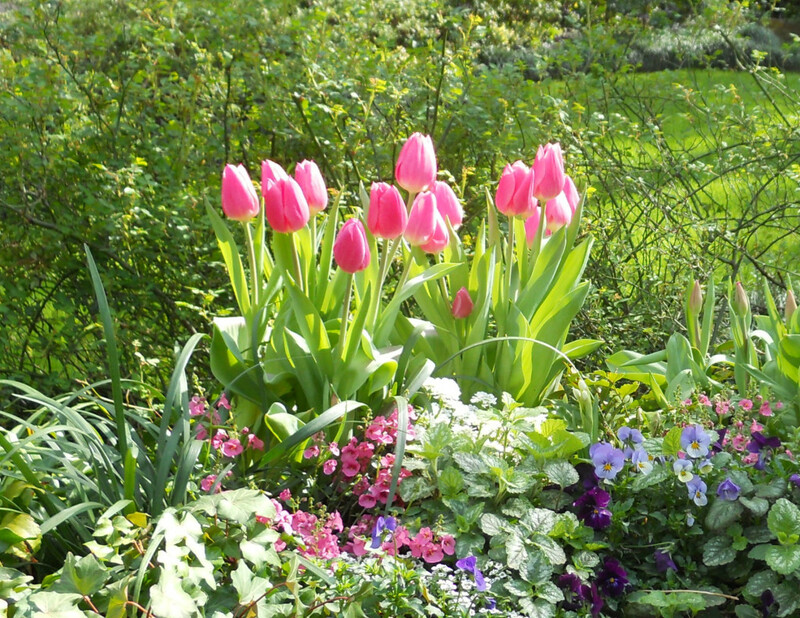 Remove spent flowers of perennials to encourage new blooms. 7. Trim leggy annuals and fertilize with easily absorbed organic-based products to encourage continued flowering and avoid burning the roots. 8. Watch for foliar disease and fungal infestations and treat with organic applications. 9. 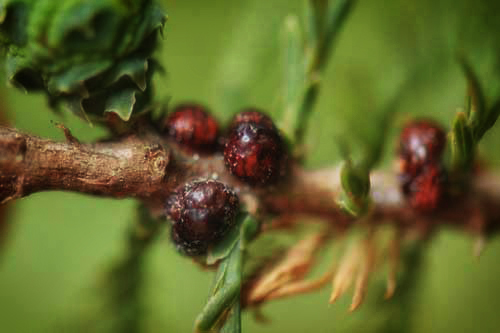 Protect ornamental trees for borers and be on the alert for cinch bugs in your St. Augustine. If treatment is necessary, rely on non-toxic organic applications for a safe, healthy alternative to harsh pesticides. 10. Mulch with organic compost or other naturally derived products to keep your beds and planter soil nourished and hydrated during the transition from hot to cool, and prevent weeds. 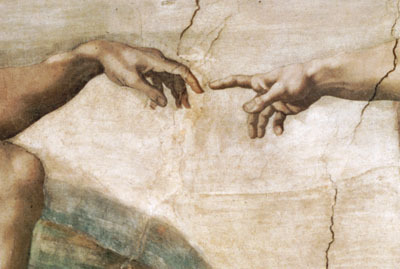 From the biblical gates of wisdom to the Gates of Paradise, gates as a threshold of transition have inspired as many allegories as they have provided practical function. When landscape architects seek to mark a shift in the spirit of garden design or to create a playful departure, we look at opportunities to create a sense of passage. This allows both a physical and emotional definition of space while simultaneously creating spatial continuity. It also creates a sense of pause between the harsh realities of the outside world and the sanctuary within. Whether open and welcoming or closed and mysterious, the garden gate adds charm, intimacy and drama to even the smallest garden. • Consider function and aesthetics and use gates to break up monotony, such as a gate in a hedge. • To stand up to rigorous wear and tear, make sure the gate material is sturdy, long-lasting and practical. Choose any material that’s weather-friendly. Reclaimed wood, recycled materials, glass, driftwood, steel, iron, copper, bronze—even old doors—the gate should complement the character, style and personality of the house. • Gates are an exceptional opportunity for originality. Styling can be classical, traditional, contemporary or whimsical to create a sense of the unexpected. • Don’t confine gates to the perimeter of your property. Consider using a gate to extend the space in the interior passageways, to demarcate vignette areas such as rose gardens and terraces, for safety around protect swimming pools, or to protect vegetable gardens. 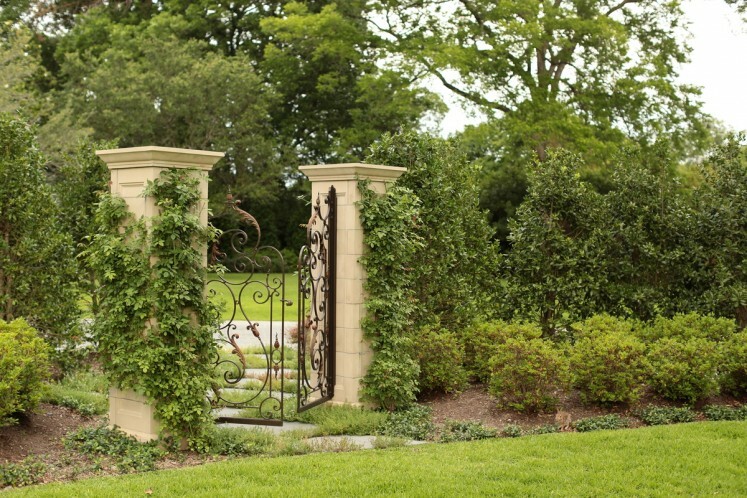 • Consider using historical artifact gates from Old World gardens to create a unique focal point or combine gates with tall hedges to create a secret garden. • Put the gate in context. Repeat architectural details from the home into the gate’s design by replicating elements, such as arches, rails, finials, and stylistic carvings. • Select galvanized gate hardware that is in character with the gate to complete the design statement—cross-braces to prevent sagging, fancy hinges strong enough to endure daily use, and hand-forged latches that are simple to operate. • Give your gate a peekaboo quality by using keyhole openings on axis with sculptural elements, such as fountains or ornamental trees, to arouse curiosity or backlight the gate with the light of the garden. This summer, make the most of your lawn. Taking care of a good lawn is fairly straightforward, involving mowing, fertilization, aeration, and water smart irrigation. 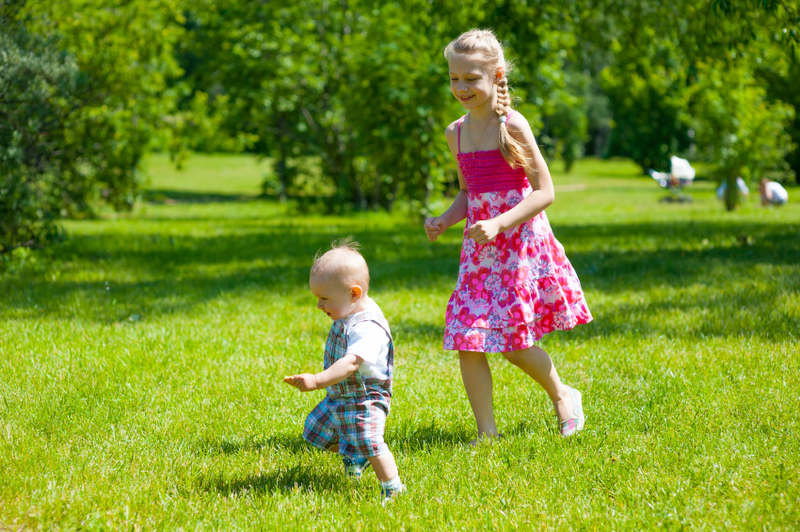 When a lawn is healthy, there is little need for weed control or remediation. However, as turf areas age, the growth pattern changes. Roots from maturing trees begin to reach out and invade turf space, competing for available water and nutrients. High traffic areas become compacted leading to thin turf or exposed soil. Weather conditions and temperature extremes, such as harsh winters or extremely wet springs, cause lawns to suffer more than usual, and make them vulnerable to damage from insects and disease. Other changes also occur including the development of a thatch layer that impedes water penetration when dry and the appearance of various kinds of weeds. Within a few years, a beautiful and uniform lawn can become a composite of grass, weeds and bare areas. To ensure a healthy, vigorous lawn, weather’s impact should be part of the maintenance plan; rainfall and irrigation data should be measured and adjusted via smart irrigation-controlled technology, irrigation infrastructure should be up-to-date, and mowing should be adjusted as needed. Organically maintained lawns, which have been spread with compost, can often survive harsh conditions better than chemically-treated lawns because the more trace minerals in the plants equate to more stress tolerance. Aeration is a practice used on lawns to help alleviate problems caused by compaction and accumulation of thatch. In essence, it works by bringing air and oxygen into the root system. It is not the ultimate tool in eliminating all lawn problems, but when used as part of a proactive lawn service program that also includes organic fertilization and natural soil conditioning, aeration can help extend the useful life of most turf and increase plant health. Scheduling the best time to aerate is important to receive maximum benefit. Match the aeration schedule with the period of highest root growth. Aerating during extreme heat can actually do more damage because the roots will dehydrate quickly. However when done during summer months, it is done early in the morning and followed by a thorough irrigation to minimize any injury to root systems that may occur. Aeration is just one of many ways Lambert’s loves your lawn. Call Melissa Livingston at 214-350-8350 to learn more about our summer garden service specials. A safe and healthy garden is chemical-free. June at Lambert’s is summer health and safety month. And at the top of our garden safety checklist, is our commitment to make sure our clients’ landscapes and backyards are chemical-free. We not only think it’s a smarter and better approach, but believe that creating and maintaining a healthier garden is our responsibility. The use of pesticides and herbicides is regulated by both federal and state agencies and each is rated as to its toxicity. Most materials cleared for use in landscaping fall into the least toxic category. Special permits are required for the use of more toxic materials. Applicators may be required to be under medical supervision while they are using certain materials. And an often-overlooked problem facing landscape maintenance and garden services providers who apply chemicals is the proper disposal of potentially hazardous waste. You don’t have to worry about that with Lambert’s. We decided more than thirty years ago to go “cold turkey” on chemical applications and treatments and become exclusively “organic” – that is, use only naturally sourced, non-harmful applications for fertilization, soil conditioners, disease, pest and even mosquito control. One, it made our crews and clients less vulnerable to risk; two, over time without sacrificing but actually improving aesthetics, it restored a healthy balance to our clients gardens; and three – most importantly – it created a safer home and garden environment for the people and families we served. 1. Better air quality, no residue, better plant nutrition, and a healthier population of beneficial insects and pollinators. 2. Healthy mature organic lawns require significantly less supplemental water and when serviced with the proper equipment produce only a fraction of the landscape debris that is sent unnecessarily to our landfills each day. 3. Organic lawn and garden care will save you money and time due to lower input costs, i.e. mowing, watering, fertilizing, and weed and pest control. 4. Organic garden treatments that use natural materials are not harmful to animals—pets, wildlife, and birds. 5. 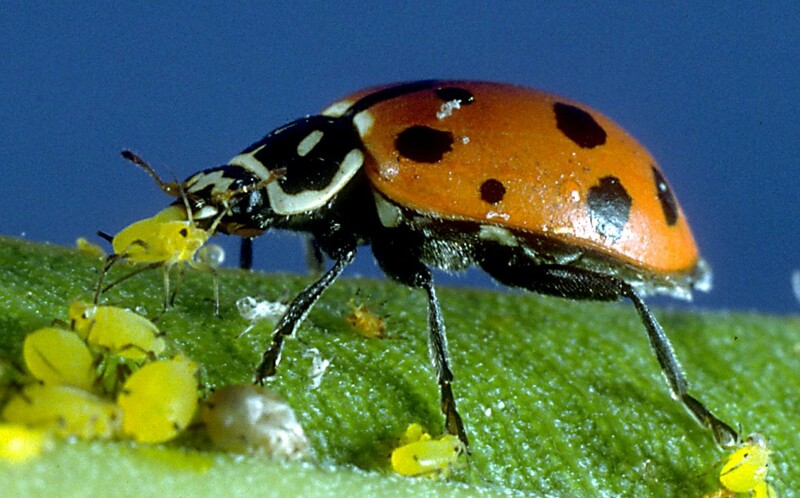 In a healthy organically treated garden, toxic pest controls are rarely necessary. 6. Organically maintained gardens are environmentally safe and do not compromise groundwater quality. 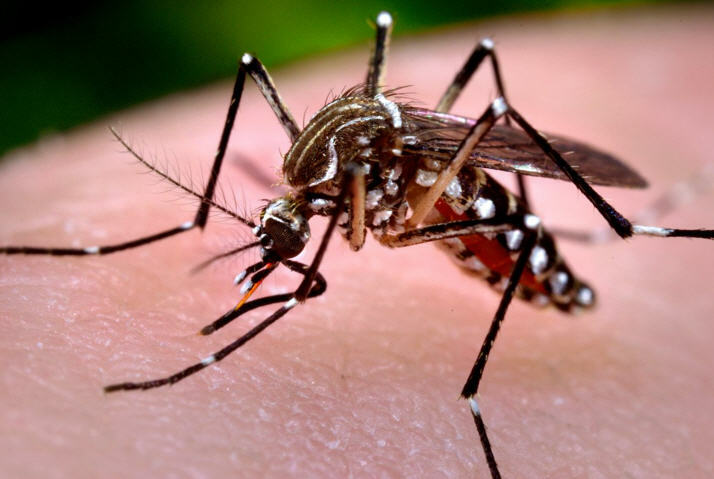 ?Contact Melissa Livingston for your summer organic service and mosquito treatment appointment at 214-350-8350. Rose Rosette Virus: what you need to know. Rose rosette disease is lethal and there is no known cure. 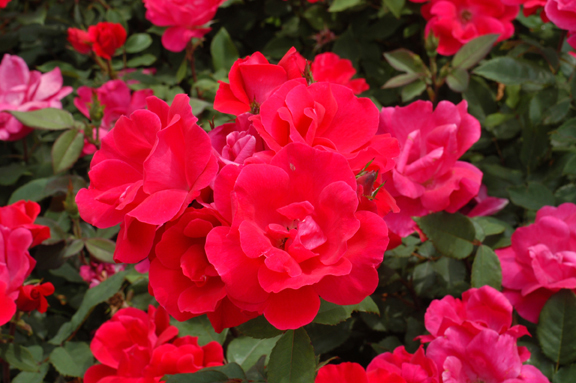 It has taken a toll on Knock Out® roses and multiflora roses, in particular. The virus is not limited to Knock Out roses, but their popularity makes them easy targets. The virus has reached epidemic proportions in the Dallas/Fort Worth area. Unfortunately, there are a large number of infected plants and a hot, dry summer will increase the speed of its spread. Rose rosette disease (RRD) can take up to 3 or 4 years to kill garden roses and infected plants can contaminate other rose plants in close proximity. The disease is spread by the microscopic eriophyid mite and there are no products—chemical or biologic/organic control measures—that, as yet, have demonstrated complete success in eradicating the disease. Mite treatments are not effective since the mite is vulnerable on the surface of the plant for such a short period of time. 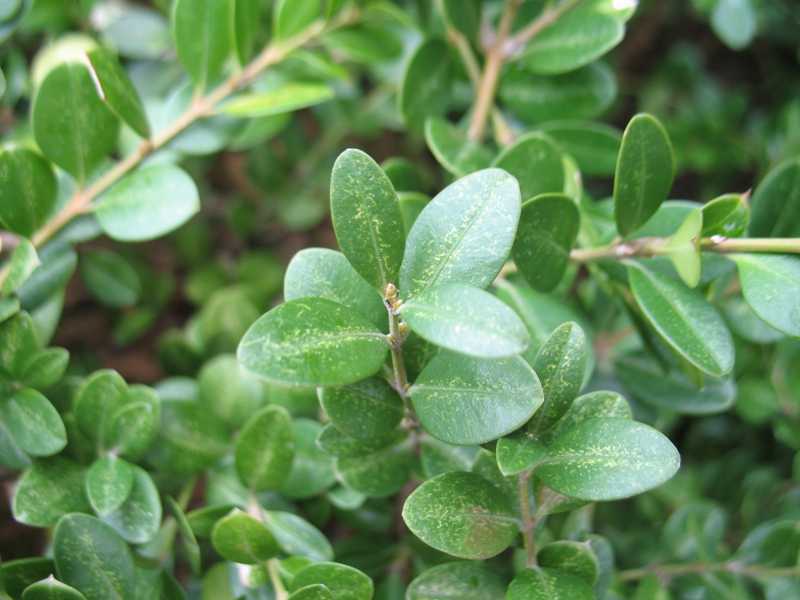 Systemic insecticides kill mites after it has infected the plant. How does Lambert’s control RRD? Educate our clients about symptoms. We are vigilant and react quickly to the appearance of RRD, to avoid the spread of the disease within our clients’ rose gardens. • Remove and destroy of all infected plants, with the approval of the garden manager and client. • Bag or cover and dispose of infected roses to prevent spreading the disease. • Prior to replanting, inspect, clean and treat the soil and surrounding bed areas using: a) soil amendments – lava sand, green sand, cornmeal, compost and mulch, and b) compost tea spray. Do the mites ever die-off? If an RRD carrying mite infects a clean rose, the virus will die when the rose dies. The mites will die within a week of not having a live rose plant host. Can you replant with more roses? It depends on how much of a risk taker you are. Many are waiting until the epidemic subsides until they replant roses. Many cannot live without the beauty of roses. If we decide with our clients that it is safe to replant, Lambert’s makes sure that all parts of the infected rose are removed including the roots and we wait at least a week to replant. Stressed plants are more susceptible to disease and insects. Keep plants healthy, nourished, and watered and drained appropriately. Get rid of infected plants as soon as they show symptoms of RRD. When cutting roses, it’s a good idea to disinfect pruners or scissors with rubbing alcohol or a 10% bleach solution to avoid the possibility of transmitting the virus. Make sure that all new roses are sourced from a reputable nursery or grower. Contact Lambert’s horticulturist and RRD specialist, Kathleen Rigodanzo at kridodanzo@lamberts.net for more information.